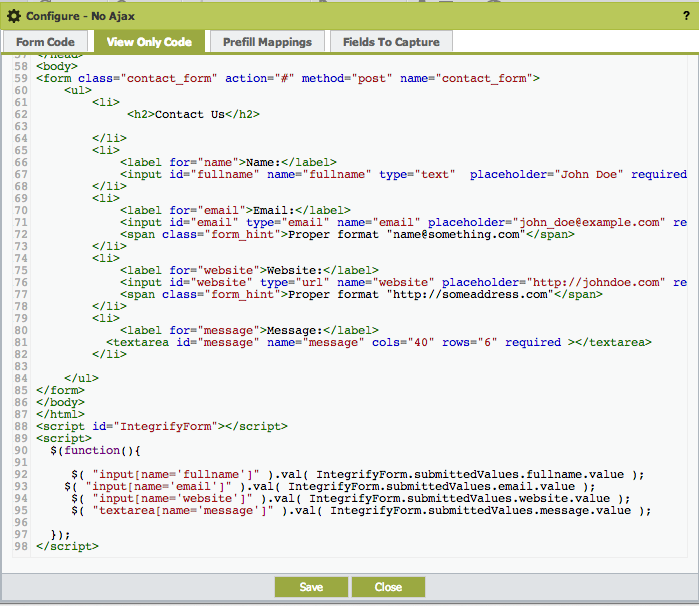 Please download and import our sample process containing two Developer Forms for reference: Developer_Forms.ipml. You will also want to download this report file to fully implement the Ajax form's functionality: Request_Report_for_DropDowns_w_Parameters.irml. For a regular form post, simply leave the action attribute out of your FORM element. You may also submit the form via AJAX. 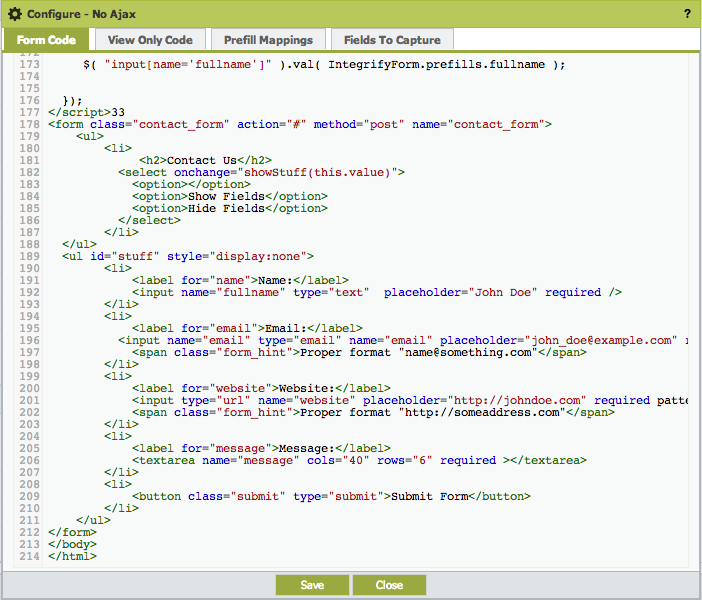 jQuery and the ajaxForm jQuery plugin will be included in your form automatically. Note: do not import this entire snippet of code, the only part you need is the script tag mentioned in the previous paragraph. 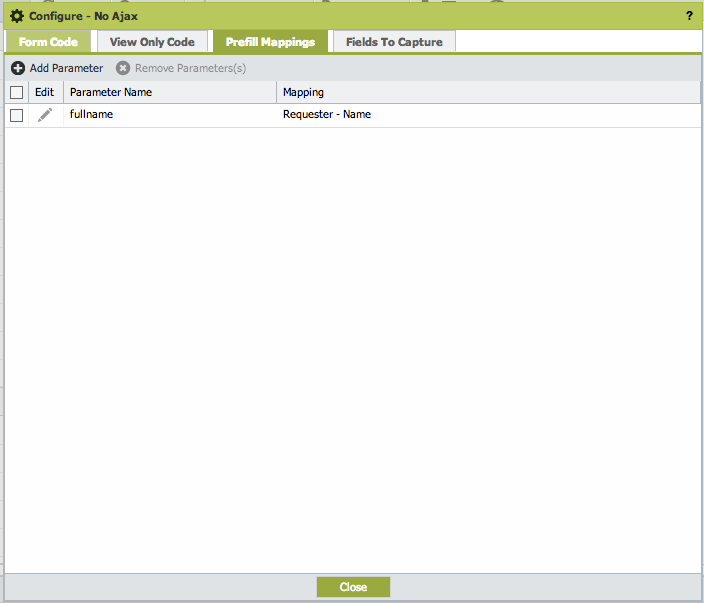 The Fields To Capture tab allows you to define which form fields are captured when they are posted. 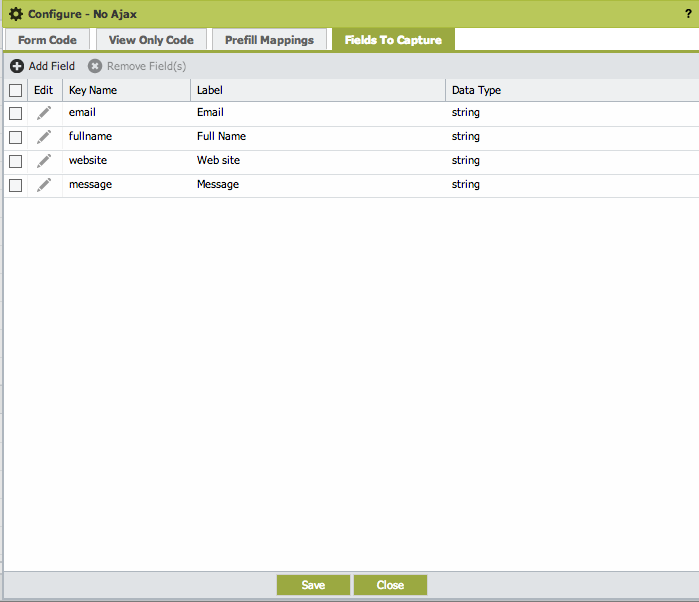 These fields are then exposed to the process for rules and prefills and are also exposed to the Integrify reporting engine. Label: this is the label that will show in the Task History, Rules, and Reports.